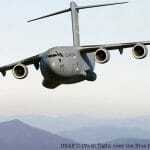 A C-130 Hercules’ primary mission is troop and cargo transport. There are variants of the C-130 that provide many unique mission capabilities like fuel tankers, gunships, and even firefighting. It is one of the few aircraft in the world to span over 50 years of continuous service with its primary contractor. 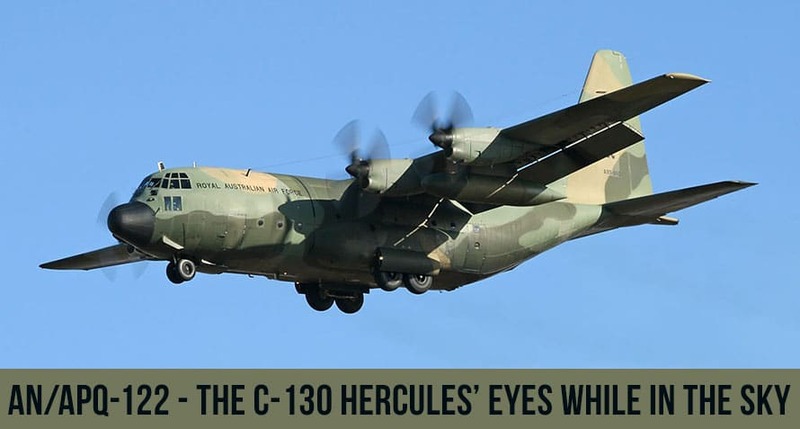 The Hercules is operational in over 60 nations. To perform its various missions in all weather, like smoke, fog, and in darkness, many C-130s are equipped with the AN/APQ-122, a dual-frequency radar set. The APQ-122 multi-mode radar helps the C-130 pilot see beyond normal visual range to avoid adverse weather conditions, enables ground mapping for terrain avoidance/terrain following (TA/TF), and facilitates long-range navigation during supply dropping missions. Sweep Generator – manages the signal processing of the system. Radar Stabilization Control – provides controls to pilot to operate the Receiver/Transmitter. Some options available on the radar set control allow the pilot to manage frequency selection, range selection, mode options of off, standby, map, beacon, or weather, as well as controlling the receiver’s gain. Both the pilot and navigator are provided with azimuth range indicator display units. The pilot’s indicator is a 5 inch direct view storage display and the navigator’s is a 7-inch high-resolution display. The navigator can select specific targets with an electronic cursor for range and azimuth of a target. 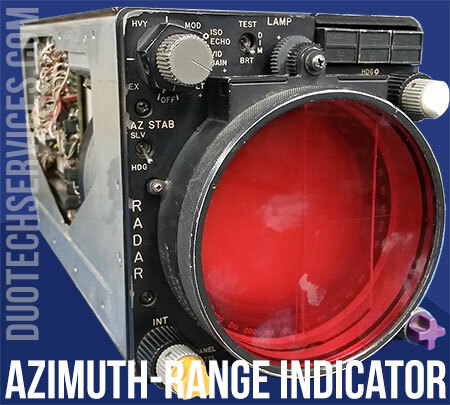 The APQ-122’s azimuth-range indicator display, like the one pictured here (IP-988, PN 657303-1), provides the pilot with controls to optimize the video presentation, select display stabilization reference with respect to the reference selected on the navigator’s indicator, and control iso-echo contouring. The pilot also has controls for display range and range mark separation. 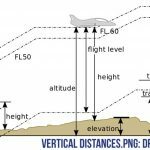 The navigator’s display provides a Plan Position Indicator (PPI) presentation of video information from either the C-130’s radar or a station keeper like the AN/APN-169A. The navigator can place electronic cursors over a specific target on the display and read out the range and azimuth of the target. There are always issues extending the life cycle of aging systems like the APQ-122. Since the C-130 is over six decades old and the APQ-122 has been installed on the Hercules since 1975, there will be problems with diminishing manufacturing sources (DMS). To avoid scrapping repairable electronic equipment on aging platforms like the C-130, operators need to identify capable sources that can use reverse engineering and manufacturing processes to repair, overhaul, or modify broken or missing parts that no longer exist. 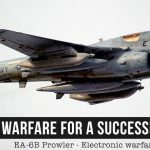 This is equally true when repairing assemblies and subassemblies of the Azimuth-Range Indicators identified as the IP-988 PN: 657303-1 from the APQ-122(V) or the IP-1043 PN: 692760-1 of the Radar Set APQ-122(V)5. A qualified Depot Level Maintenance (D-Level) facility can eliminate the need to scrap repairable equipment by identifying the faults in malfunctioning equipment and repairing it quickly. With aging equipment, supporting technical data can be nonexistent, stopping repairs in their tracks. 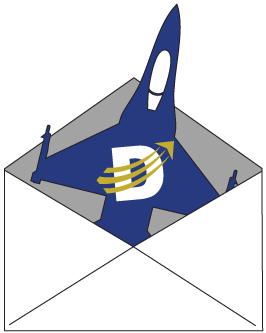 Finding a qualified depot that has the ability to reverse engineer obsolete technology and manufacture unavailable parts is essential to returning functional mission-critical systems back to aircraft and ground systems. As a D-Level Maintenance facility and qualified repair station, Duotech provides Military Electronics Repair Services. Duotech provides a full range of military equipment repair services, including a wide variety of electronic and electromechanical systems, communications and RF, and power systems. With over 35 years of industry experience, Duotech Services, Inc. maintains an AS9100C and ISO 9001 certifications with the scope of repair, design, production (including CNC machining and laser cutting), testing and overhaul services.